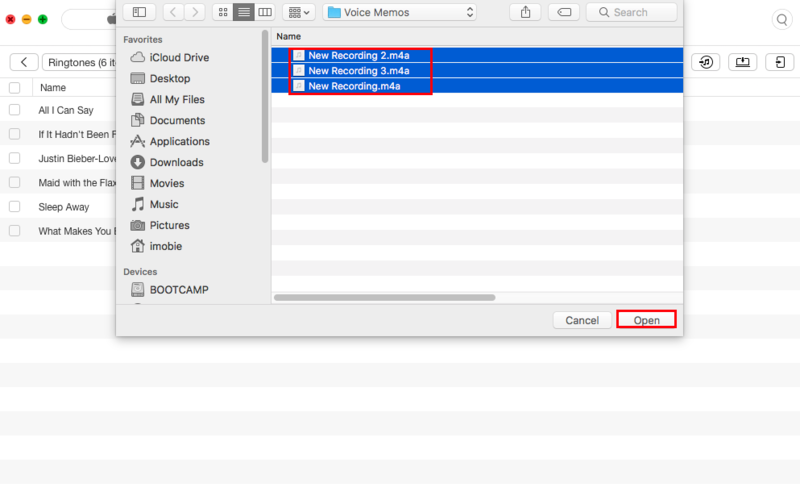 This step-by-step tutorial is going to tell you how to turn a voice memo into a ringtone on iPhone, as well as how to transfer voice memos to music on iPhone directly. 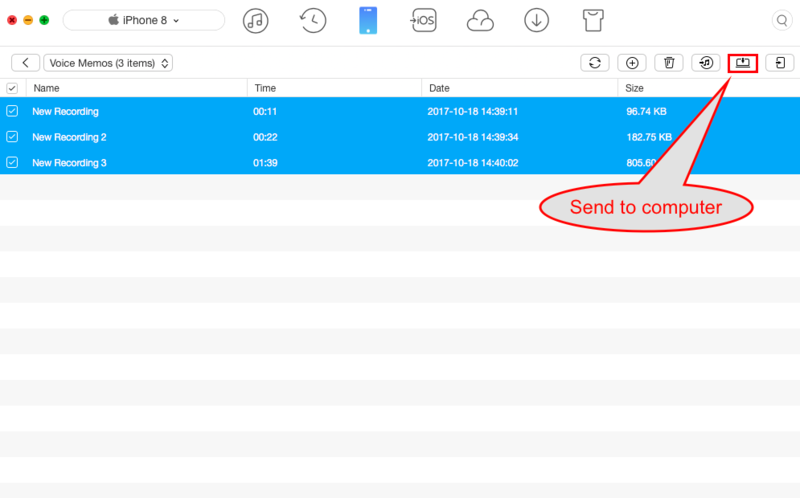 Download AnyTrans and follow this tutorial to quickly convert and transfer voice memos to songs or ringtones on your iPhone, without iTunes sync. 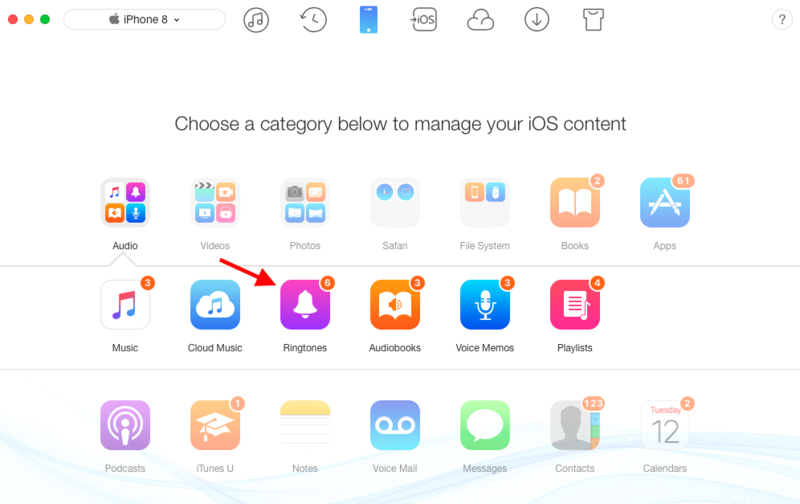 You may want to transfer recorded songs and melodies from Voice Memos app to Music app on your iPhone. Or you have made some personalized voice memos on iPhone, which could be snoring, laughing, singing or chirping. And now you plan to convert these funny voices to be your custom iPhone ringtones, right? Then, how to make a voice memo a ringtone on iPhone easily? 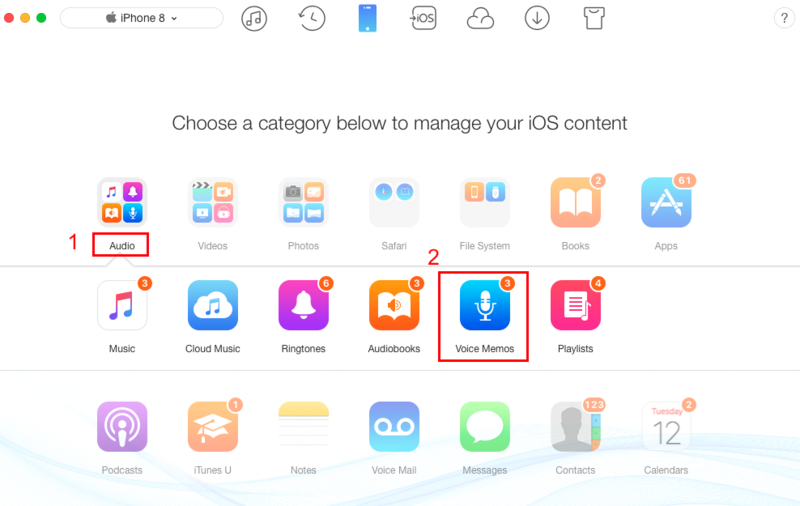 How to transfer voice memos to music app on your iPhone directly? 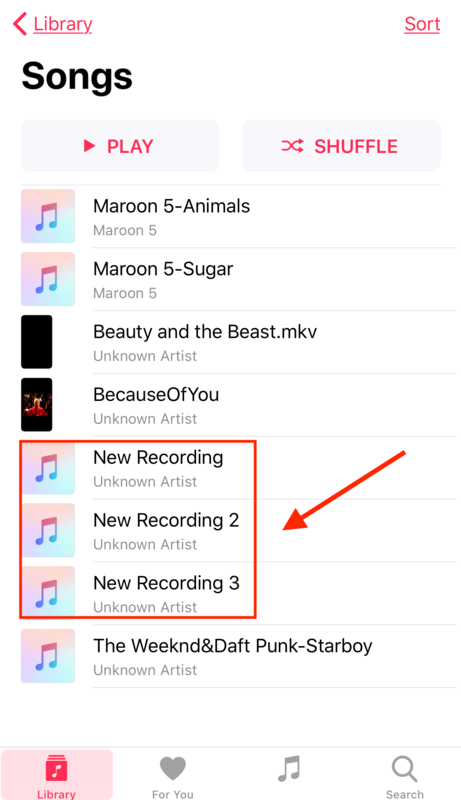 In this post, we share you one transfer tool - AnyTrans, which enables you to turn a voice memo into a ringtone on iPhone, and put voice memos in music library on your iPhone. AnyTrans is an outstanding iPhone file management and transfer tool, which can help you convert iPhone un-supported format to be supported, so it is also an iPhone ringtones maker and music transfer tool. In this way, you can easily use it to make/turn a voice memo a ringtone on iPhone, as well as transfer voice memos to music library on iPhone without effort. And below we’ll show you step-by-step tutorials about how to use it to do that. When talking about how to make a voice memo a ringtone on iPhone, many iPhone uses may think of using iTunes to create AAC version then sync to iPhone. To be honest, you can easily do that before, but currently, there is no Tones tab in the latest iTunes 12.7, so iTunes is helpless. However, AnyTrans can do it for you with ease, not only voice memos, you can use it to add any songs as iPhone ringtones directly. Now, follow us to turn a voice memo as a ringtone on iPhone. Requirements: Your iPhone, one computer and one USB cable for iPhone. First of all, you need to export voice memos from iPhone to computer, and then add it as ringtones on iPhone directly. Step 1. Download AnyTrans, install it and run it on your computer. Connect your iPhone with USB cable. Go to category page and click on Audio, then select Voice Memos. Step 2. Select the voice memos you need and click on the To Computer button to export selected voice memo to computer. Step 3. After the exporting process finished, back to the category page. Click on Audio and select Ringtones. You can see there are 6 ringtones on this iPhone. Step 4. Click on “+” button. Browse and select the voice memos we just exported from the iPhone, you can choose only one voice memo or more, here we select the three voice memos at once, and then click on Open to add them to iPhone as ringtones. After the transferring process finished, you can check these ringtones on your iPhone. 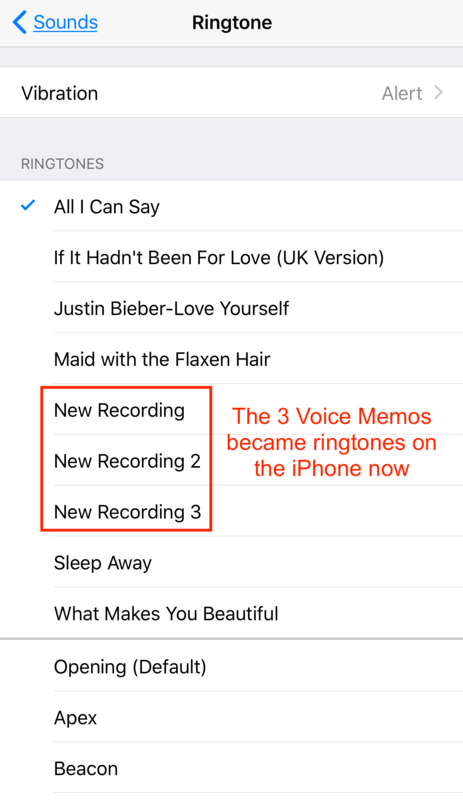 You can see the 3 voice memos already became ringtones on the iPhone now. Step 1. 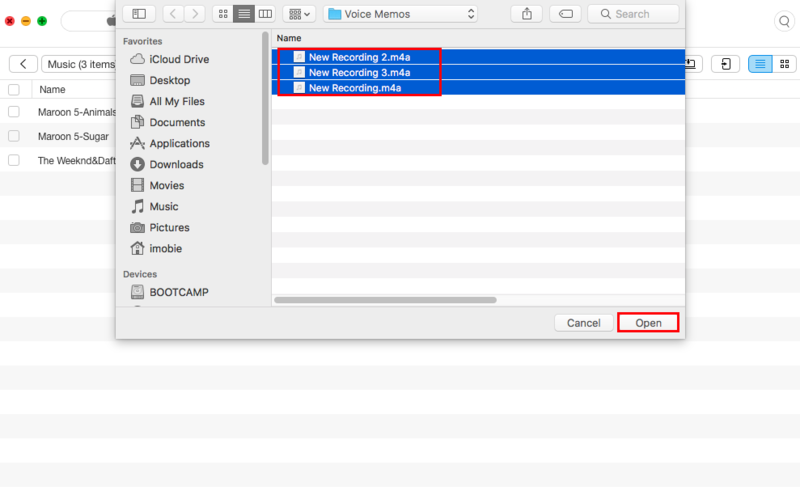 You also need to export voice memos to computer at first as step 1 in part 1. If you already do that, you can skip this step. Step 2. On the category page, click on Audio and select Music. Step 3. Click on “+” button. Browse and select the voice memos you want to transfer to music, and then click Open to start. You can also check them on your iPhone. You can see the 3 voice memos already been added to music library on the iPhone now. 1. Besides voice memo, AnyTrans can help you manage and transfer more other iOS content in an easy and smart way like photos, playlists, videos, notes, contacts, apps, etc. That’s all for how to make a voice memo a ringtone/music on iPhone. As you can see, AnyTrans can do that for you without effort. If you feel this article is helpful, you can share it with your families or friends. You can have a try on AnyTans by yourself; it will make your life easy.